I can try to explain it, its deep in my brain and hard to explain! The disk of the game contained a picture of a cow being sucked up into a tornado. You start out with a ship, you get into this ship, and it flies you to destinations. There is a lot of motion video scenes, and the environments look real too. You click around, trying to find things in these environments and pick up items to use later on. You are playing in first person, so you do not see yourself. You move around by clicking the corners to look around in first person, you just see these environments and click on parts of them in hopes to find something. One level has the pyramids, where you have to align up mirrors to solve a puzzle. The world is going to end by this evil person causing all these natural disasters, and you have to go back and fix what he started. Stonehenge is in there too. One environment is where you go underwater to this futuristic place. Please help me find this game!! I will answer any questions, I have been looking for this game for quite some time!! Hmmm... Are there live-action cutscenes with real actors? Yes! Same thing for the environments. Very real, some fake. Hmmm... is it Riddle of the Sphinx? ... The Omega Stone? Unfortunately not... The graphics are very similar though, and there is a resemblance of being in the future with this Star Wars like craft that you can fly around in. You actually don't control the ship, you can tell it which destination to go to. It fits one person. 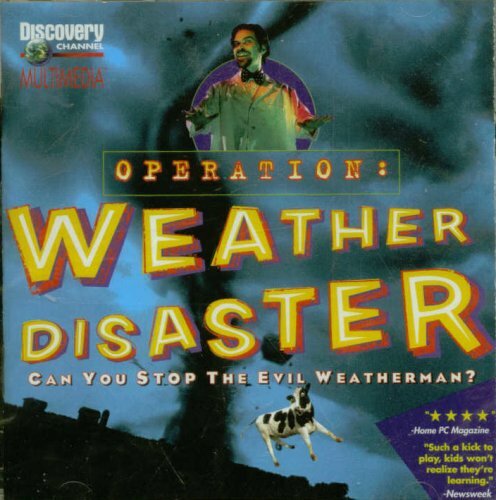 I think it's Team Extreme : Operation weather disaster ? THAT. IS. IT!!! Thank you so much!!! No problem. Good luck in finding the game.